There really is not too much difference between a transmission on a standard gas vehicle and diesel car or truck. The biggest difference between the two types of transmission is going to be the torque converter because of the different engine speeds and torque created by the two types of motors. Unfortunately, that is where the problems start. If you have a diesel powered light truck you are probably interested in increased power and performance provided by a diesel power plant. The increased strain from heavy duty hauling and or towing is often too much for a “stock” transmission attached to the diesel engine on a real work truck, leading to early failure and costly repairs. We can help you realize the performance expectations of your truck by building your diesel transmission to meet the needs of the loads you put on your vehicle. From the torque converter clear down to internal springs we will make sure you have the right transmission. 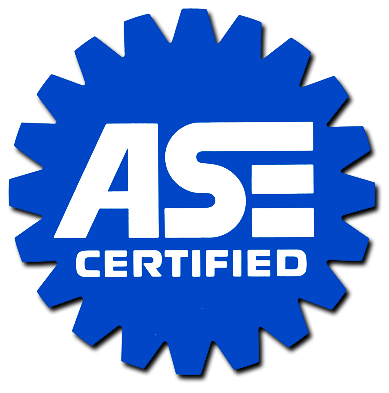 What are the signs you need your diesel transmission serviced? There are many warning signs that will indicate the need for your transmission to be repaired. If it begins to shift at different points or is slow to shift, that may reveal problems with your transmission. Also if your RPMs rise while driving uphill or while you are not accelerating, that too can mean that you need repairs. Also, if your check engine light appears, or if you encounter flared shifts you should bring your vehicle in immediately for diagnostics. What are the most common problems with diesel transmissions? Not replacing your transmission fluid and filter regularly can result in problems with your diesel transmission. Failure to have enough coolant or lubricant in the transmission can cause the gears to overheat, crack, wear or slip. If you have more questions regarding your diesel transmission, feel free to give the experts at Ron’s Auto and RV a call today!